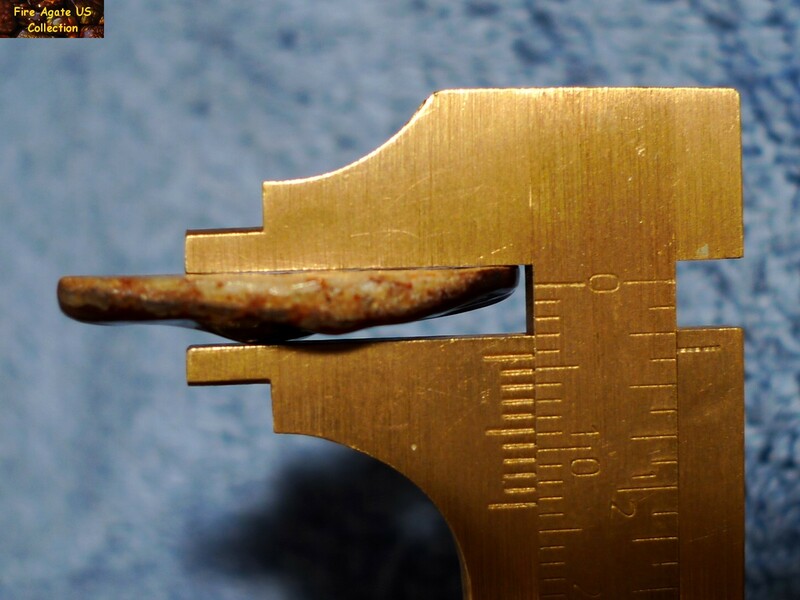 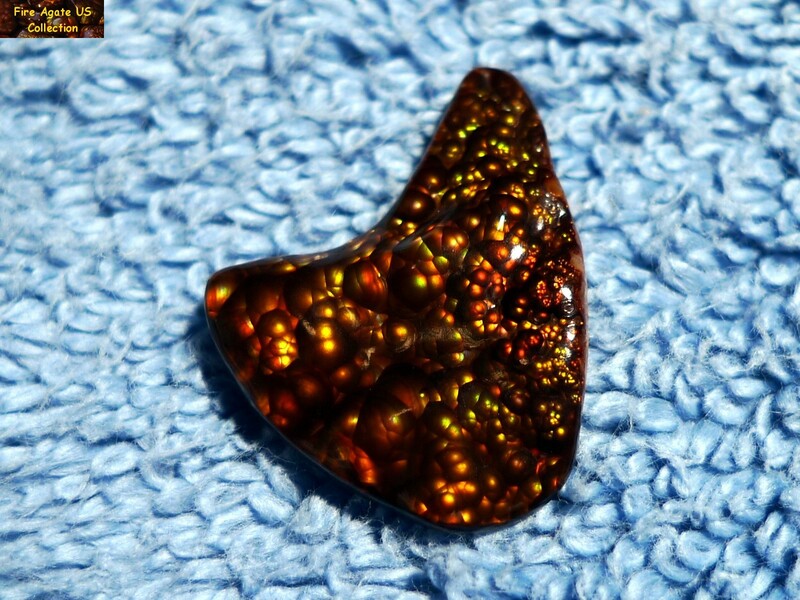 cabochon measures 27 x 20 x 3 mm and weighs 14 carats. 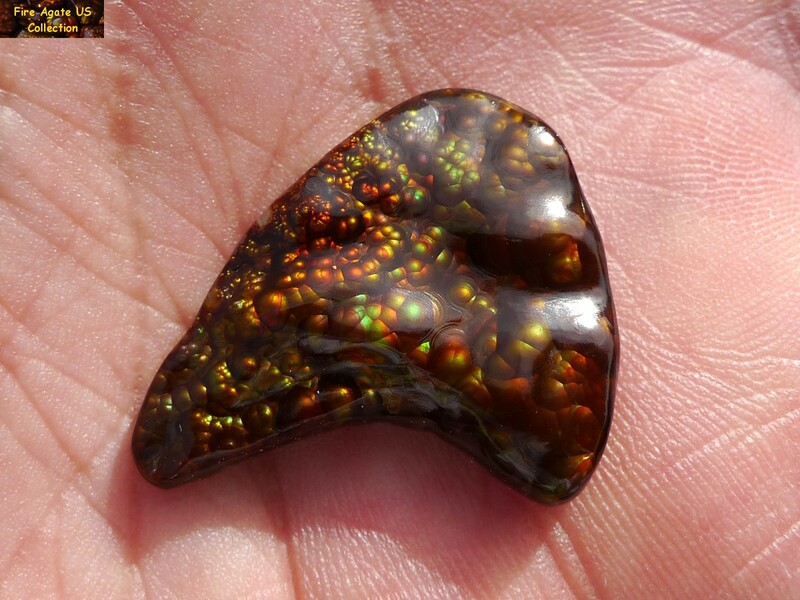 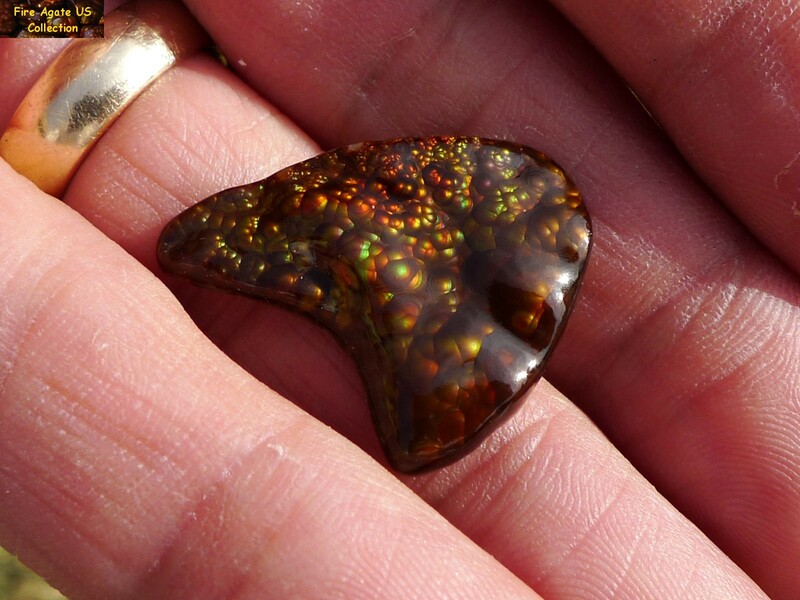 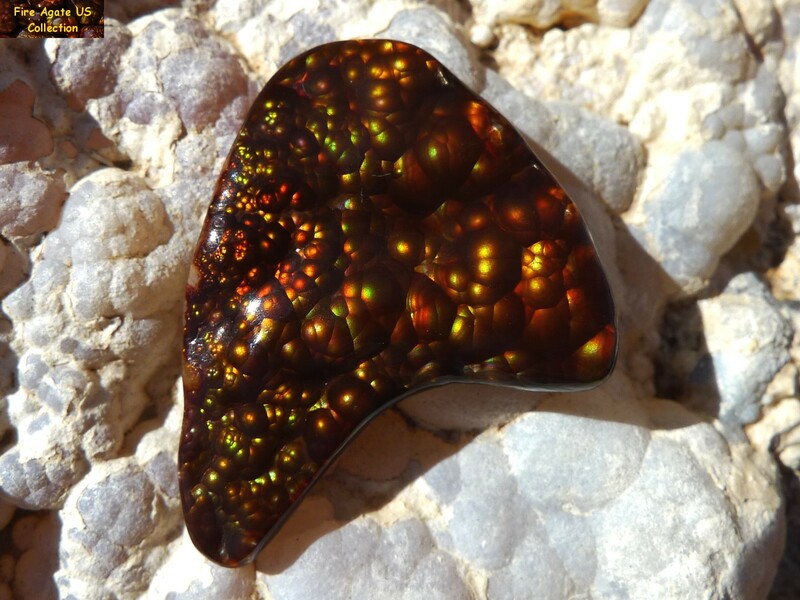 It was cut by Thomas Cameron of Fire Agate US and displays a rainbow of colors including red, orange, green, gold and a small amount of purple and blue. 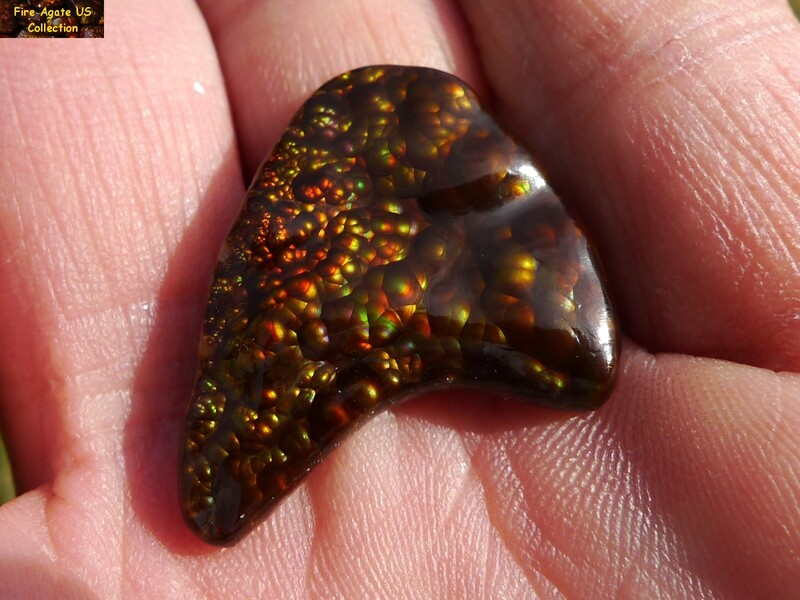 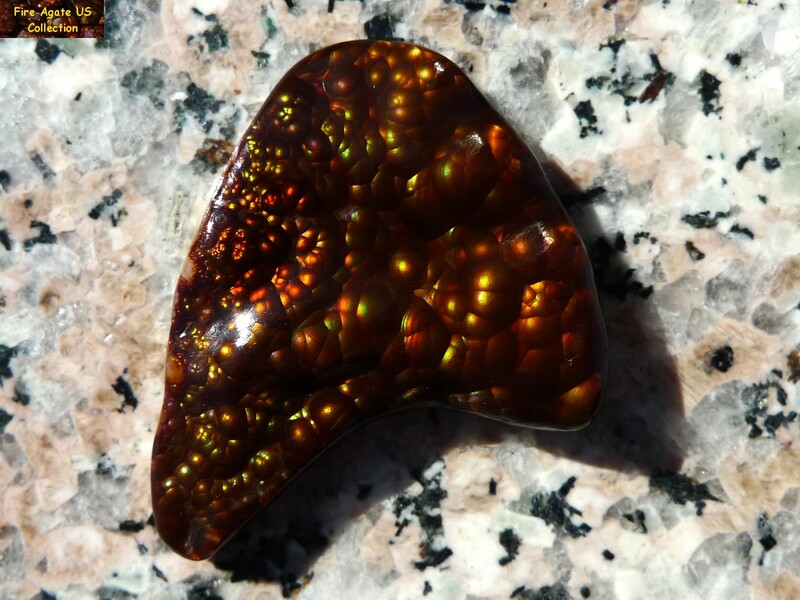 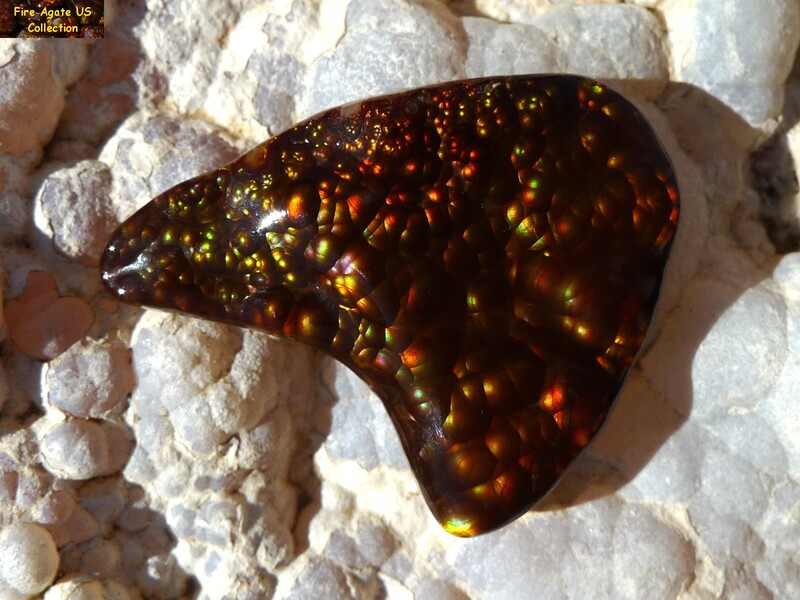 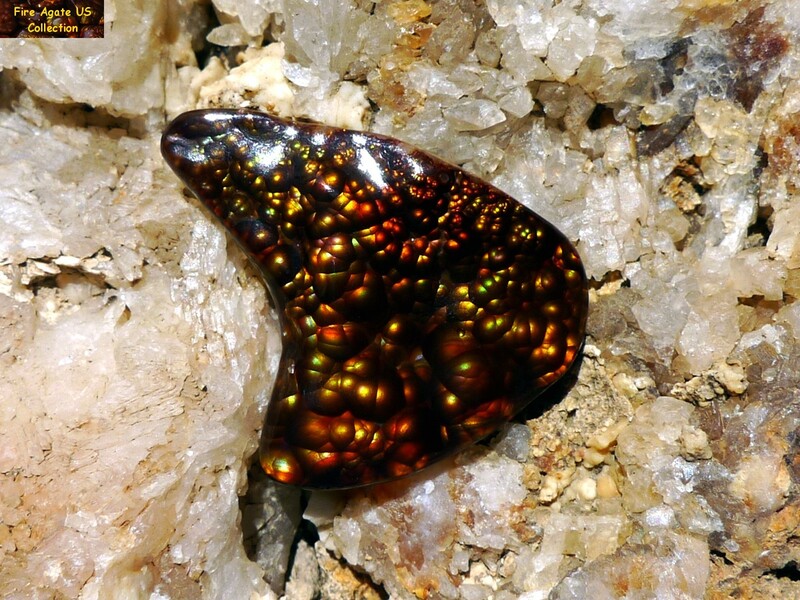 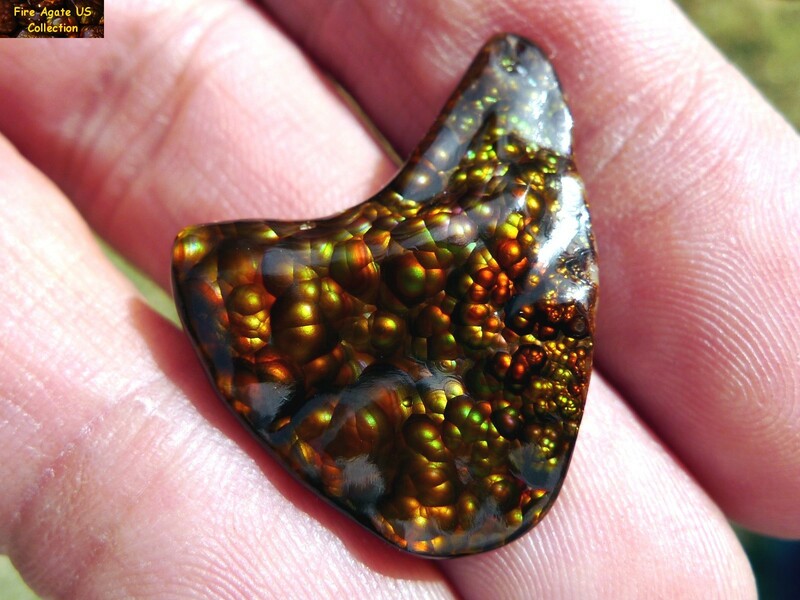 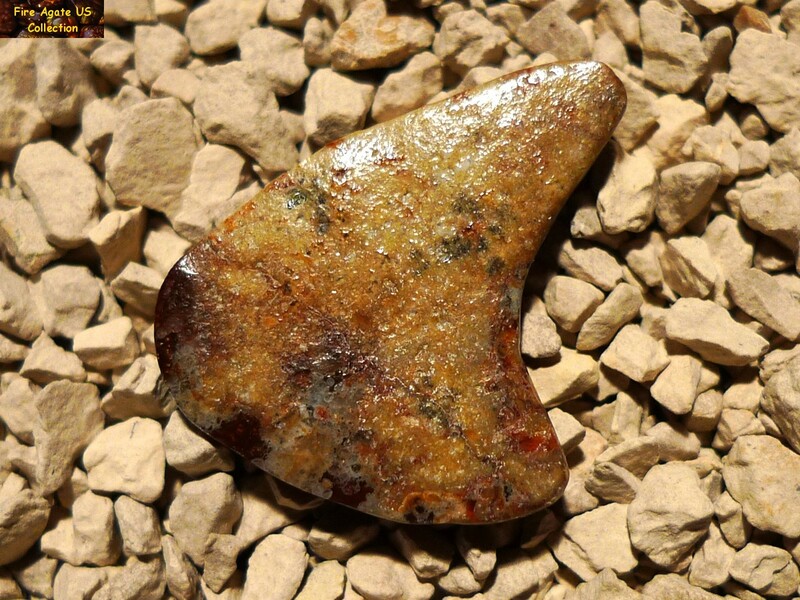 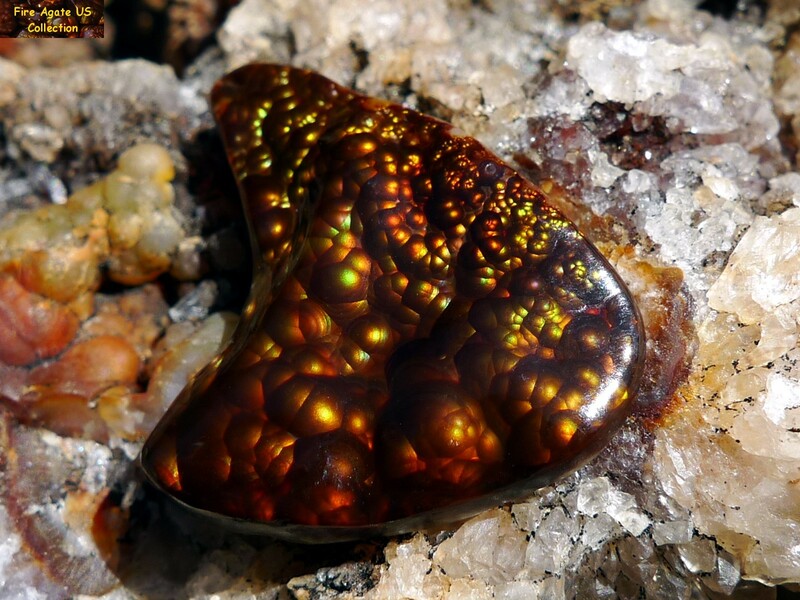 This fire agate gemstone originates from Deer Creek, Arizona.